Grease a 9-inch-square baking pan with nonstick spray and line with parchment paper, leaving 2 inches of overhang on two sides. In a medium saucepan, combine the brown sugar with the corn syrup. Cook over moderate heat, stirring frequently, until sugar melts and mixture begins to boil, about 5 minutes. Remove the saucepan from the heat. Whisk in the peanut butter and salt until no streaks of peanut butter remain. In a large bowl, stir the peanut butter mixture into the rice cereal until the cereal is thoroughly coated. Using a rubber spatula, scrape the mixture into the prepared pan and gently pat it into an even layer. In a medium heatproof bowl set over a saucepan filled with one inch of simmering water, combine the chocolate chips with the butterscotch chips and stir occasionally until thoroughly melted, about 5 minutes. 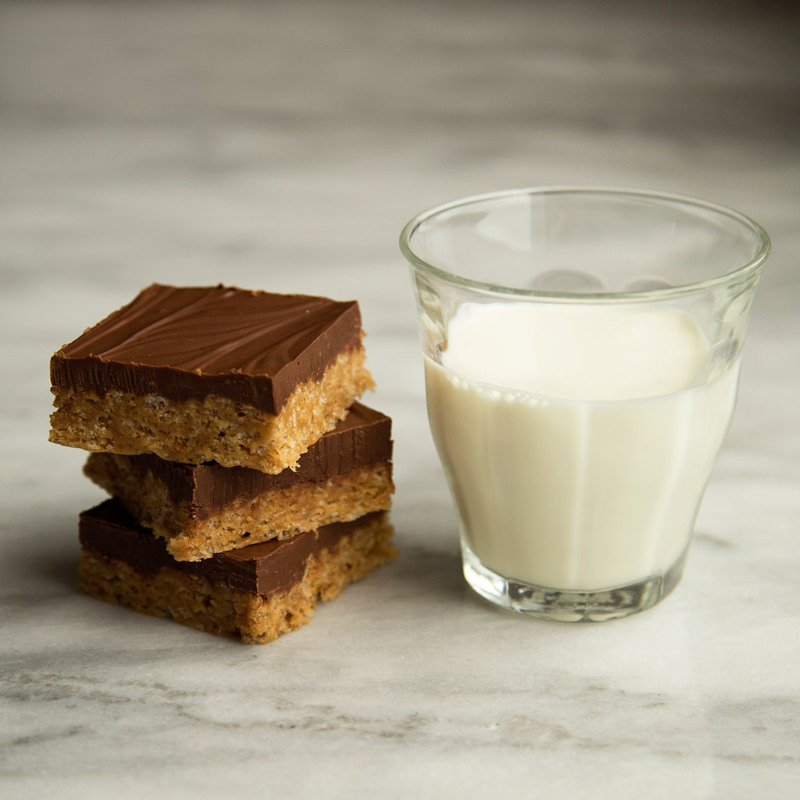 Using an offset spatula, spread the melted chocolate topping over the peanut butter bars in an even layer. Refrigerate until the bars are cool and the chocolate is firm, at least 30 minutes. Using the overhanging parchment paper as a handle, transfer the slab to a work surface. Using a long, sharp knife, cut into sixteen 2-inch bars. The scotcheroos will keep in an airtight container at room temperature for a week.